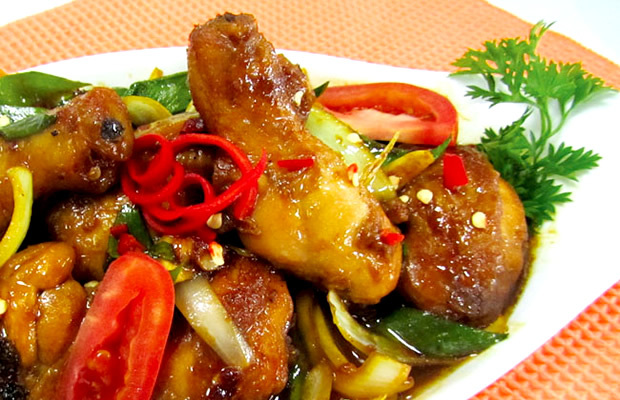 Heat oil, fry the chicken in hot oil until cooked but not dry, remove and set aside. Heat margarine, saute ginger and garlic until fragrant, then enter the onions and saute until wilted. Add soy sauce Manis, water, salt, pepper and fry until cooked. ADD tomatoes and leeks, stir briefly, lift.